This mountain bike journey takes you on smooth single track across high alpine meadows, on rocky trails alongside mighty glaciers and twisting down pine needle trails through magical forests. 8 days including arrival and departure days. 6 days of guiding with half board accommodation (dinner, bed and breakfast). 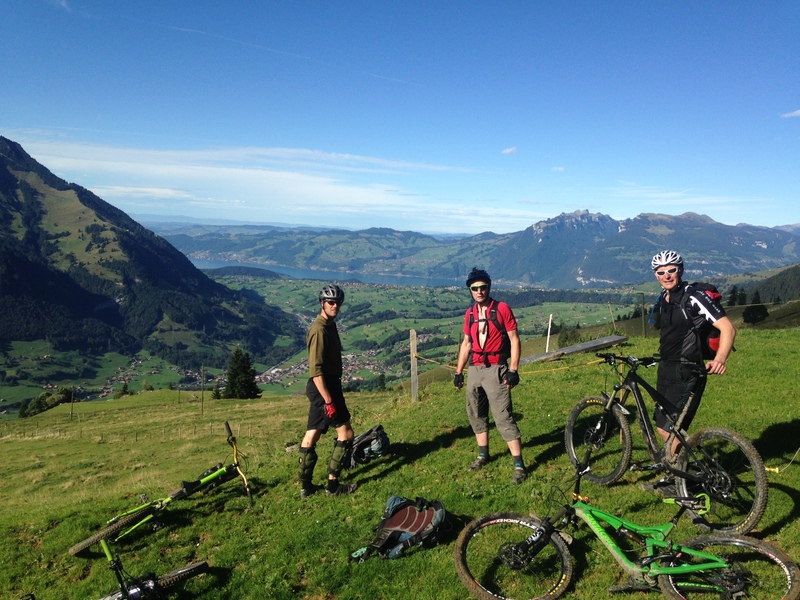 A fantastic route through some of the finest mountain biking terrain in Switzerland. Featuring the most spectacular high mountain hotel in Europe, this is another real classic in our point-to-point repertoire and is not to missed. Prices from 960 euro p.p. Email us for a quote specific to your group size and needs. shorten the length of time taken to ride the route if you are fit and experienced riders. Email us for more information. 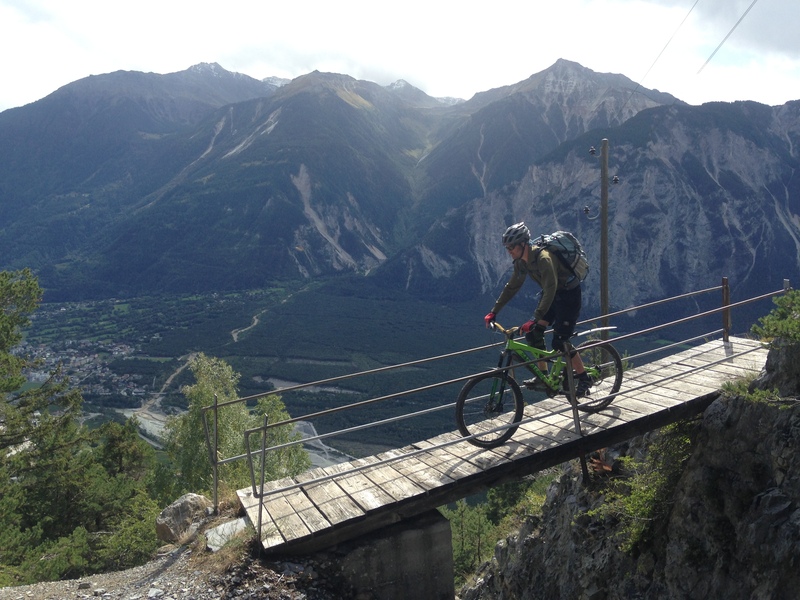 The Eiger trip is slightly easier than the Chamonix to Zermatt – both technically and physically – in part due to being 1 day shorter but it is still to be considered a demanding route for keen mountain bikers who ride regularly every weekend. As we have a destination at the end of each day there is always lots of riding and some big climbs. The majority of the climbing is doubletrack with mostly singletrack descents. There may be very small sections of pushing. 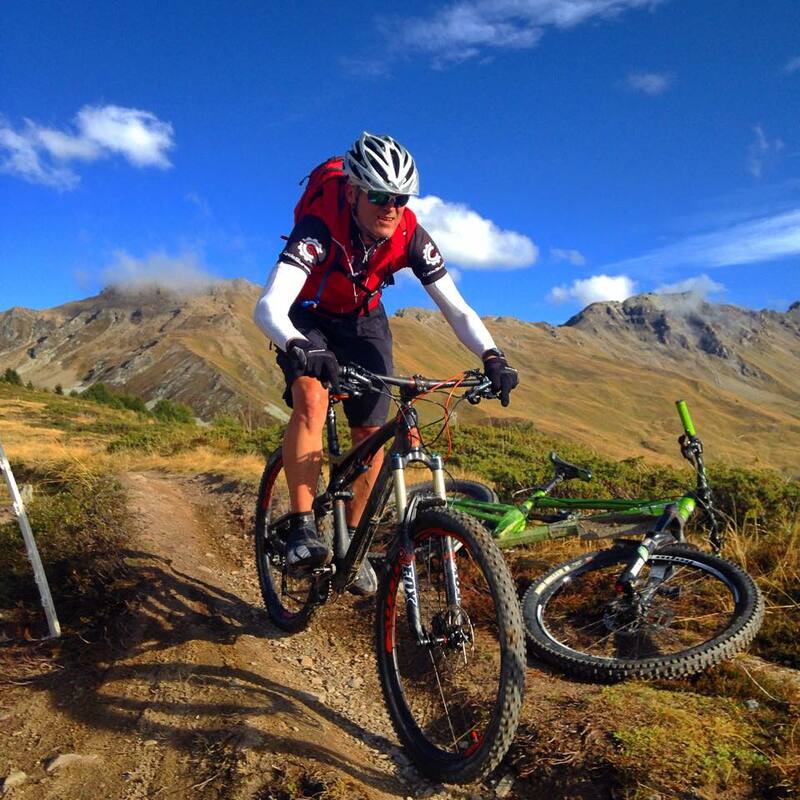 It is very easy to shorten this route by removing the first day of exploring the trails of Crans Montana. We cover around 192km in distance but ascend around 6050m and descend around 8750m. The maximum altitude is approximately 2,550m so there are no problems with altitude sickness but you may still feel the altitude in your lungs on the climbs. Accommodation is in a mixture of good quality 3* hotels with en-suite rooms and mountain hotels/refuges. There will be group sleeping arrangements in the mountain hotels. There are hot showers and good and plentiful food every night. A mountain bike! In good working order, recently serviced prior to the trip. Full suspension and disc brakes are highly recommended for this trip to make your life more comfortable. Your bike must be a good quality mountain bike with at least decent front suspension forks and tyres suitable for steep rocky terrain. No hybrid bikes as these are not suitable. We ride dual suspension 4 to 6 inch travel “all mountain” and “enduro” style bikes.